GlobalEye AEW&C system was unveiled at the Singapore Airshow 2016. Image courtesy of Saab AB. GlobalEye AEW&C aircraft offers air, maritime and ground surveillance. Image courtesy of Saab AB. GlobalEye AEW&C aircraft has a mission endurance of more than 11 hours. Image courtesy of Saab AB. Global Eye integrates the Erieye ER (extended range) radar. Image courtesy of Saab AB. GlobalEye airborne early warning and control (AEW&C) aircraft is a new multi-role airborne surveillance system developed by Saab. The aircraft is capable of offering air, maritime and ground surveillance on a single platform. It can operate in dedicated or multiple roles and has the ability to simultaneously switch between different roles at any point of time during an ongoing mission. The GlobalEye airborne surveillance system was launched at the Singapore Airshow 2016. 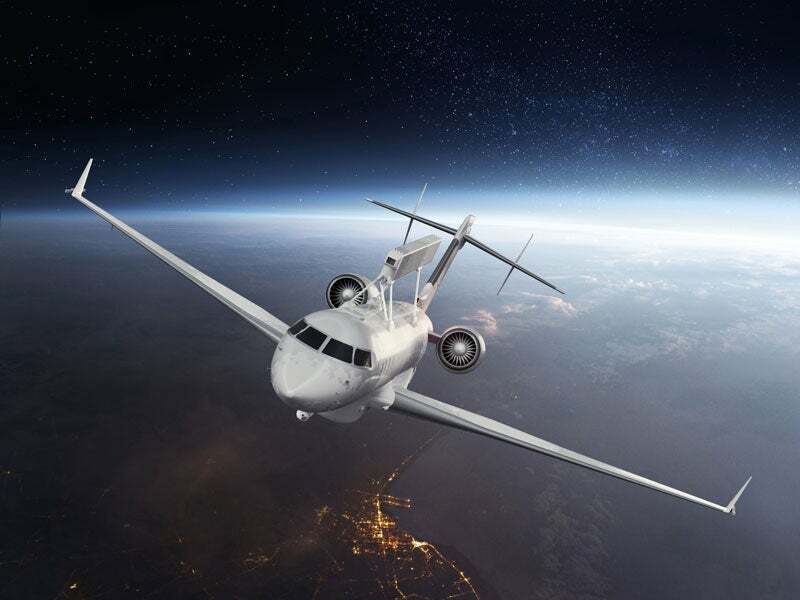 Saab received a $1.27bn contract from the United Arab Emirates (UAE) in November 2015, to supply a new airborne swing role surveillance system (SRSS) integrating a new variant of the Saab Erieye radar system based on the Global 6000 aircraft. The GlobalEye AEW&C platform is offered in three different configurations according to customer-specific requirements. The base configuration is equipped with the AEW&C capability to deliver aerial, maritime and ground surveillance. The second variant integrates additional maritime surveillance radar and electro-optical sensors to transform the base platform to offer enhanced maritime and ground capabilities. The third version incorporates new sensors for electronic intelligence (ELINT) and signals intelligence (SIGINT) capability. The GlobalEye AEW&C system is based on the Bombardier Global 6000 ultra-long range jet aircraft. Its cabin houses ergonomic sideway seating for operators and offers low noise level and pressure altitude. It also accommodates six-seat rest area for passengers. The aircraft has a length of 30.3m, wing span of 28.7m and wing area of 94.8m². The maximum take-off weight (MTOW) of the aircraft is 45,132kg. The command and control (C2) system aboard the aircraft enables the crew to perform multiple missions in complex and changing scenarios. The aircraft accommodates up to seven C2 workstations. Each operator console is equipped with a 30in wide-screen high-resolution colour display offering the best possible interface for the operators. The displays present target data obtained by the onboard sensors or received via the data links, and allow the operators to find tracks, control own forces, monitor threats, command operations and manage all onboard systems. The C2 system also enables mission planning and mission evaluation. Each multi-role console offers mission data and control functions and is interchangeable. The crew can access all operator consoles during high-priority missions, while low-intensity missions can be handled using one or two consoles to reduce manpower requirements. The main sensor of Global Eye system is the Erieye ER (extended range) S-band active electronically scanned array (AESA) multi-mode radar. The radar is designed to collect target data in a large air volume and / or across a vast surface area, in heavy clutter and jamming environments. "The aircraft is capable of offering air, maritime and ground surveillance on a single platform. It can operate in dedicated or multiple roles and has the ability to simultaneously switch between different roles at any point of time during an ongoing mission." The long-range airborne surveillance radar offers a continuous air, sea and ground surveillance, while delivering increased detection range in comparison with ‘stealthy’ low observable air targets. The radar is also capable of detecting and tracking air targets of any size over land and sea. It can also detect tiny targets such as cruise missiles in heavy clutter environments and even small objects such as submarine periscopes and small waterborne craft. The under-fuselage of the aircraft is mounted with a high-performance maritime surveillance radar for close-range maritime and ground surveillance, radar imaging, and search-and-rescue (SAR) missions. The aircraft also features an electro-optical system, which can simultaneously operate in the visible, near-infrared and mid-wave infrared spectrums. GlobalEye is equipped with an advanced self-protection system based on the latest technology developed by Saab. The self-protection system integrates a suite of sensors and countermeasures dispensers. The autonomously operated system can also be controlled by the pilot. The GlobalEye platform ensures a maximum mission endurance of more than 11 hours. It allows for operations from short runways in small airports.